During the 17-18 school year, Highland’s Jr Beta Club went to Hot Springs for Beta Convention where they enjoyed listening to engaging speakers and participating in competitive events. Highland student, Matthew Harper won first place in the Seventh Grade Math Division at the Arkansas Jr. Beta Club Convention, which qualified him to compete at the National Convention in Savannah, GA this past summer. 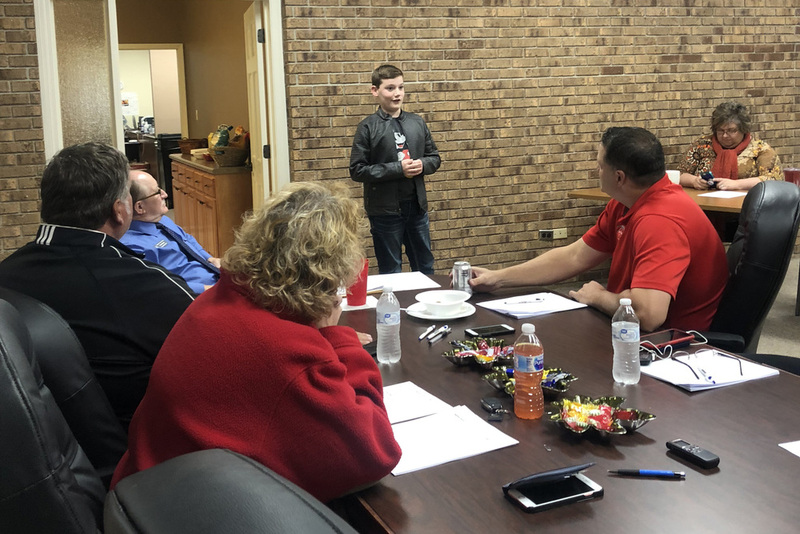 Matthew received a special invitation to Highland’s October school board meeting to be honored during the student recognition portion of the meeting. Matthew spoke about the experience and even thanked his teachers for helping him develop the skills that aided him in his competition.